9 Problems You Don't Want Your Pool to Have - Pool Daddy Pool Service, Maintenance, and Repair in Phoenix and Scottsdale, AZ. As cool as this could look for Halloween, don’t let it stay green too long! Regular cleaning is a must. As a pool owner, there are certain things you definitely want to be found in your pool . It doesn’t speak well about you as a clean, responsible and attentive homeowner. Today we’re going to talk about some of the most common problems pool owners come across, with brief explanations as to how the problem is addressed. Pool water can change color with a bunch of different causes. 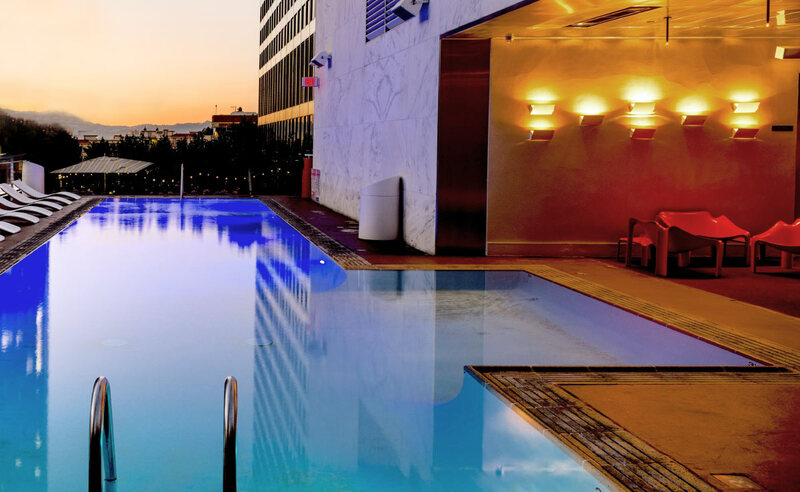 A hazy or cloudy pool can be caused by poor water circulation, problems with the filter, water balance issues, high alkalinity, low sanitizer level, calcium build up, high levels of total dissolved solids, and the presence of too much organic waste. Most of these issues are handled with adjusting the levels of chemicals and other such products, including shocking your pool. 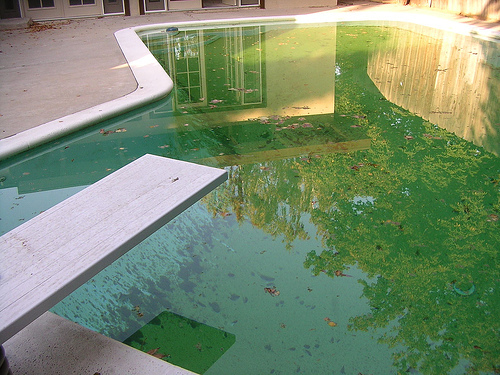 Green water is a common problem, which means algae is growing in the pool. Shocking the pool can be a solution to this problem if you catch it early, but adding algae killers, scrubbing the walls and floor, and cleaning out the residue can also help. For extreme cases, acid washing may need to happen. Black algae aren’t as common as their green relative. It’s much harder to get rid of and it appears in small patches, so it’s easy to miss. Purchasing and using special algae killer designed for that is your first level of the defense. Bacteria growth like this is remedied with shocking the pool (usually twice) and then extra algaecide is used for 2 or more days. 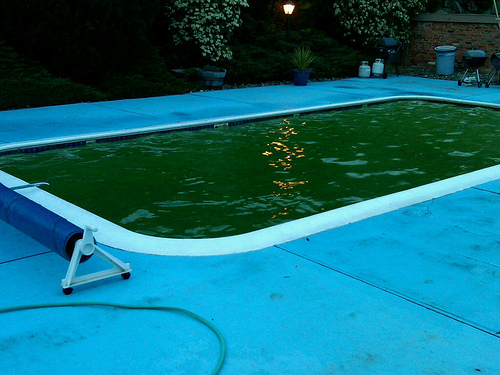 Mustard algae can occur in some pools, and shocking your pool is the best way to remove it, with the addition of special algaecide designed to kill mustard algae after the shock. If your pool has too much chlorine, stop adding it until the levels balance out or add a neutralizer. For pH levels, you may need to adjust the chlorine levels, decrease alkalinity, or increase alkalinity. There are products available to fix all of those problems. Too much algaecide can cause the pool water to start foaming. There are non-foaming brands out there, so switching to that and replacing some water in your pool can remedy this issue. If your total dissolved solids levels are too high and your pool is salty, you need to drain the pool (up to half way) and replace the water. 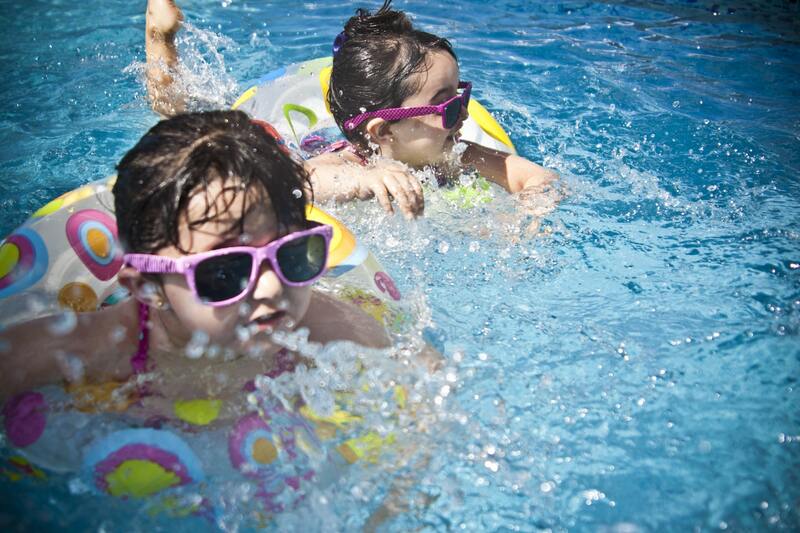 If the pH levels of your pool are off (too high OR too low) it can cause irritation to the eyes or skin of swimmers. The culprit may also be an excess of sanitizer. Checking the levels of your pool regularly can help prevent this from becoming a regular problem.